Every dawn is different, a spectrum of changing colours and light. 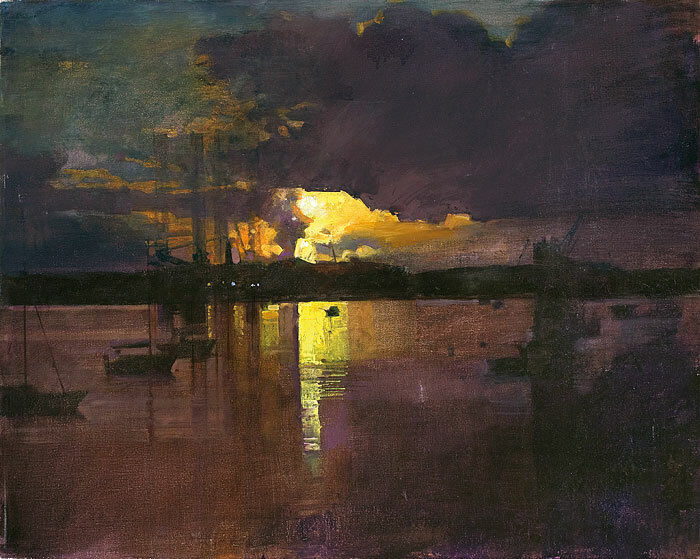 For artist John Raynes, observing early morning skies has inspired a collection that is filled with a magical luminosity; the celebration of a new day. A master of his art, these scenes of light and dark are skillfully rendered, built up in layers over weeks of painting. Working in oil on board in his studio, Raynes’ fascination with abstract shape is visible in the overlaid patterns of light reflected. The result is a rich impression, a visual feast to return to again and again.